We all enjoy decorating the inside and outside of our homes with lights and plug-in decorations for the holiday season. They create a cheerful atmosphere, add sparkle to trees and foster the imagination of children of all ages. Unfortunately, they can also increase the risks of fire and electrical injuries if not used safely. 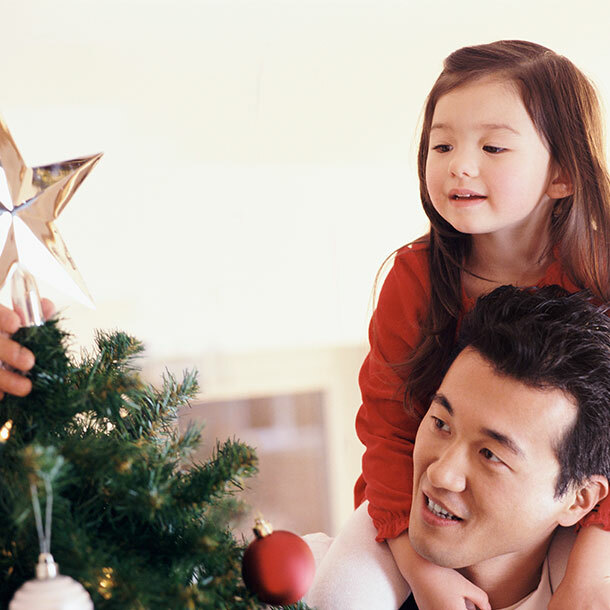 We’ve put together a few tips for ensuring a safer decorating experience this holiday season. Before decorating, determine how many outlets are available and where they are located. Plan your displays accordingly. Make sure all extension cords and decorations used for outdoor decorating are marked for outdoor use. Be sure to match power needs (amperage) of electrical products with amperage rating of extension cords. When it comes to buying your decorations, always purchase them from reputable retailers. Be sure to use lights that are approved for safe use by a nationally recognized testing laboratory. Never connect more than three strands of incandescent lights together and consider purchasing LED lights, which use less energy and run cooler than traditional incandescent lights. 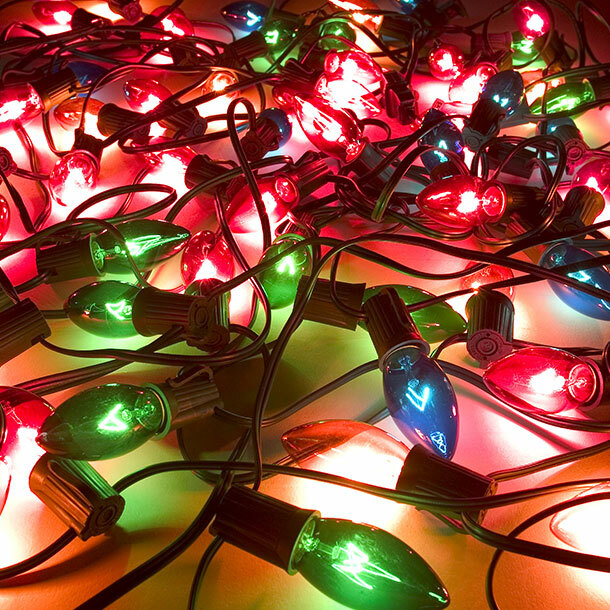 Carefully inspect all lights, decorations and extension cords for damage before using. Cracked or damaged sockets, loose or bare wires and loose connections may cause a serious shock or start a fire. 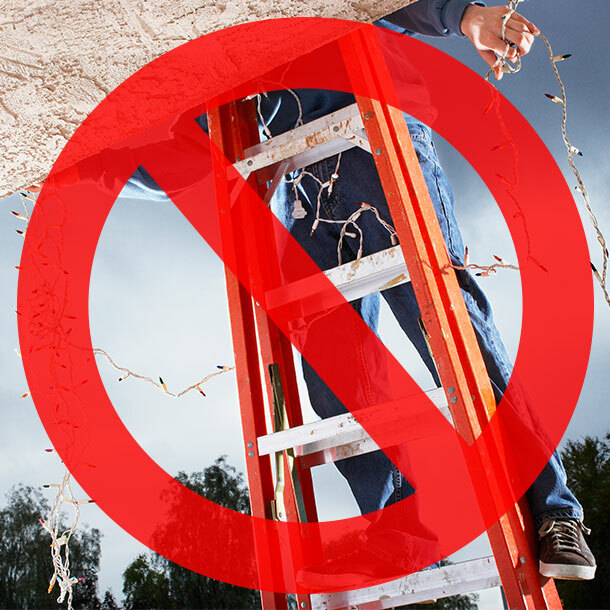 Do not mount or support light strings in a way that might damage the cord's insulation and always unplug electrical decorations before replacing bulbs or fuses. 4. Over the top? Sure! Overloaded outlets? NO! 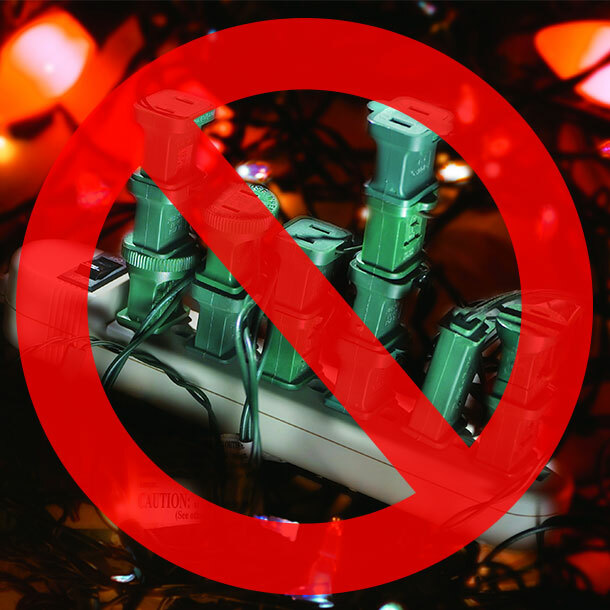 Avoid overloading electrical outlets with too many decorations or electrical devices. They can overheat and cause a fire. Be sure that cords are not pinched in doors, windows, or under heavy furniture, which could damage the cord's insulation. Inspect ladders for loose or missing screws, hinges, bolts and nuts before using. When you’re ready, be sure to use the right ladder height, ensuring ladders extend at least three feet past the edge of the roof. Always exercise caution when decorating near power lines, keeping yourself and your equipment at least 10 feet from power lines. 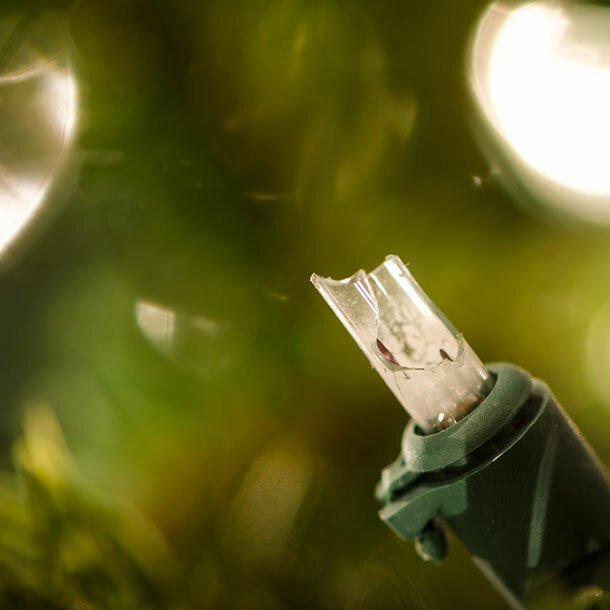 Outdoor electric lights and decorations should be plugged into circuits protected by ground fault circuit interrupters (GFCIs). If circuits are not GFCI-protected, portable outdoor GFCIs can be used. 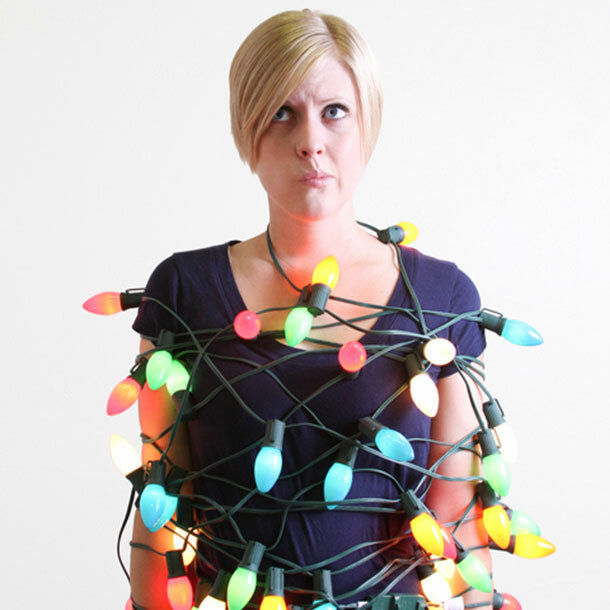 As you continue to deck the halls with merry, keep electrical safety in mind. Consider using timers so that your lights turn on and off automatically. If not, then be sure to turn off all indoor and outdoor electrical decorations before leaving home or going to sleep. For added safety, consider the use of GFCIs outdoors. If you’re not comfortable changing out your outlet, consider using a portable outdoor GFCIs. Lastly, consider replacing your indoor outlets with Tamper Resistant Outlets, this way curious minds can remain safe.